This past weekend we joined some friends and went canoeing in Lake Lettuce Park up in Tampa. It's a beautiful park of footpaths, jogging/biking trails and picnic areas. 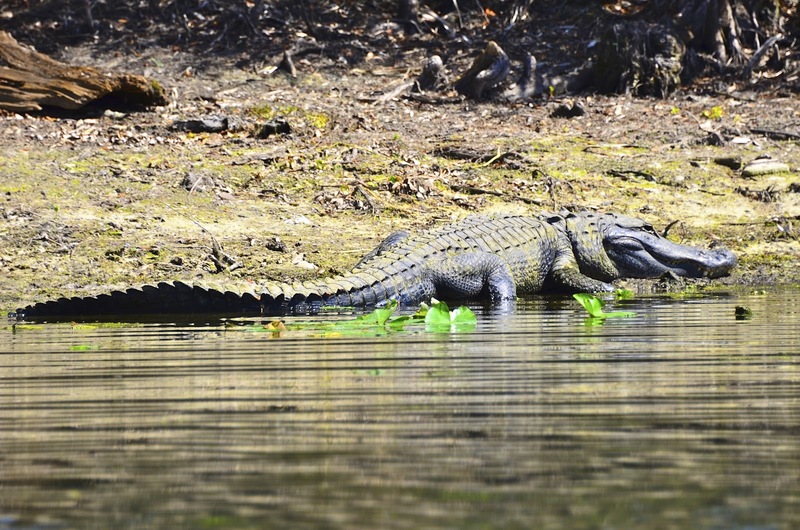 The hardwood swamp forest seems to be a haven to a variety of wildlife. These are our friends ... always ahead of The Professor and myself. We were always falling behind ... well ... mostly because of me. So many things to photograph. And oh, was I nervous with my camera sitting on my lap the whole trip! But there were more reasons not to fall into the water other than ruining my camera. Like all the gators that were basking in the sun! We must have seen two dozen gators ... from babies to teens to a couple of 10 footers! DID NOT WANT TO TIP THIS CANOE! to these beauties ... which I'm thinking the above is a Tri-colored heron? ... and these Roseate Spoonbills, which were plentiful! They may just be my next fave to the Pelican. 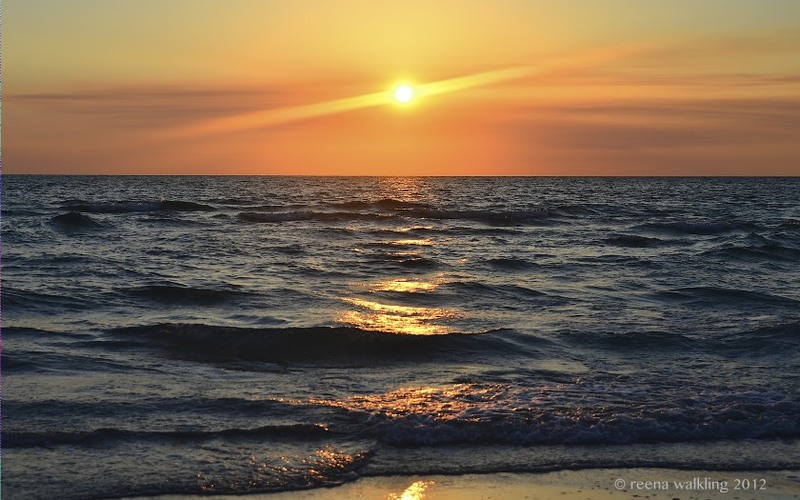 to take in another beautiful Anna Maria sunset. Nature, animals and their habitats, colors, smells, everything is magnificent and beautiful. Thank you for sharing your's great photos, Reena! The gators don't attack canoes? I seem to remember old Tarzan movies where they did. I hope you used the zoom for the gator pic. What fabulous captures and such a fun trip you've taken us on! 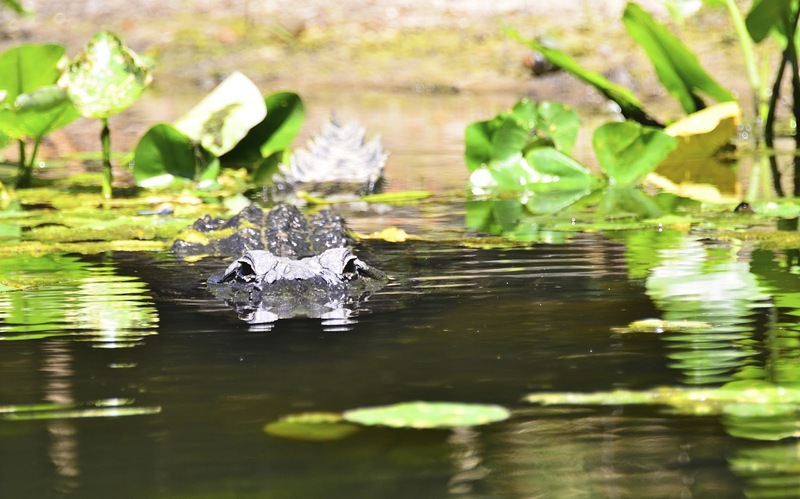 Amazing shots of the gators and I love the turtles and birds! Looks like a perfect day! Reena, I would have so nervous if I were you! I love all these shots. 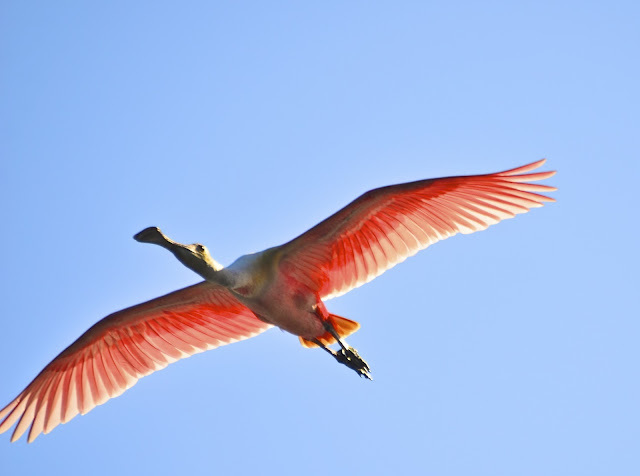 Especially loved the one of the spoonbill flying. Spectacular images again, especially the spoonbills. I don't think I would want to have only a canoe between me and the gators!!!!!! good grief...no way would i get so close to the same level as a croc!! i admire you for doing that! great captures! 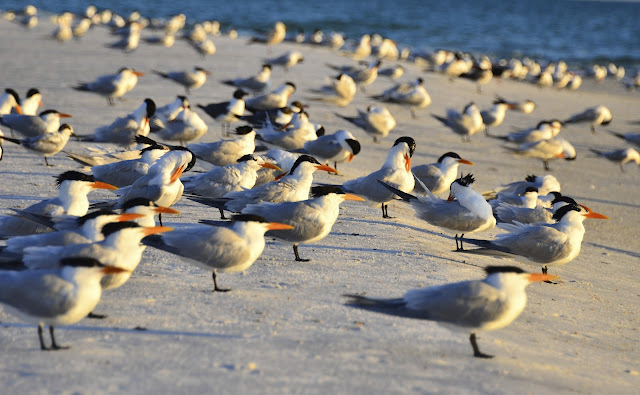 What a wonderful collection of birds that I never have seen in real life!! Cool gators. That must have been exciting, at the same time it was scary. WOW!! So many wonderful photos.. But I have to say you are one brave gal.. There is no way in H-E-double-L that I would be in a Boat with gators around.. I think I am hyperventilating just looking at the photos. Hee Hee.. But I am glad you did. I really did enjoy the photos. 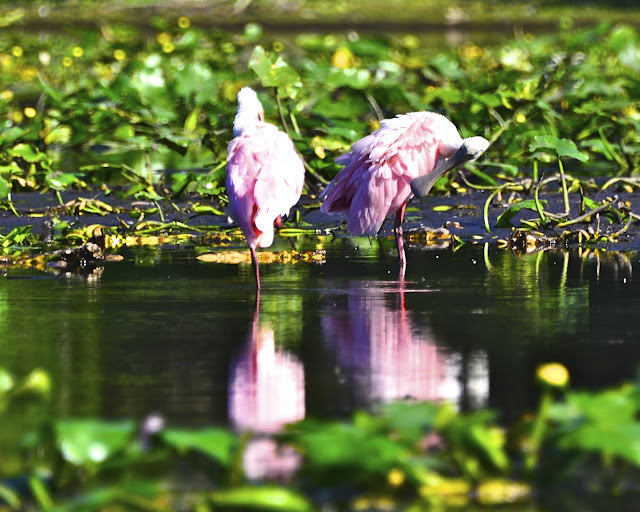 Can't wait to see more..
Love the Spoonbills and of course the turtles! All I can say about the gaters is that you are a lot braver than I would be! Great shots of them though. You just keep outdoing yourself, Reena! Those two spoonbills and the reflection, it must be my fave today!! 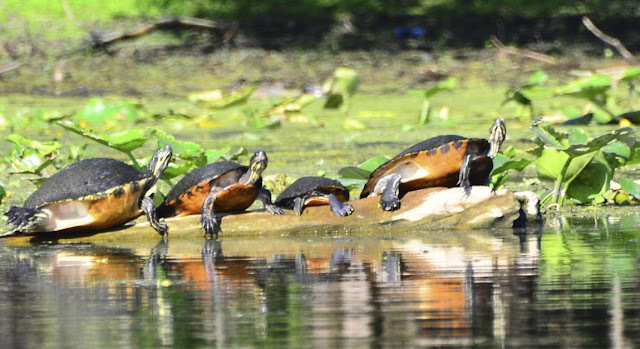 LOVE those turtles in a row, and the beautiful blue birds, never seen anything like it! Oooohhh, scary, a canoe in gator waters. Yikes! You're braver than me. I've always wanted to photograph the Roseate Spoonbills, you lucky girl! Great job on all these. I am blown away by the beauty surrounding you. What a wonderful photo trip full of opportunity and danger...what could be better than that? Fantastic job. Those gators were way too close to the canoe. Eek! No kidding you didn't want the canoe to tip. I would have been afraid to paddle, although sitting still makes it even easier to tip it. Yikes! I think you're a brave woman to get in that canoe with so many gators around, eager to tip you over themselves! Yikes! 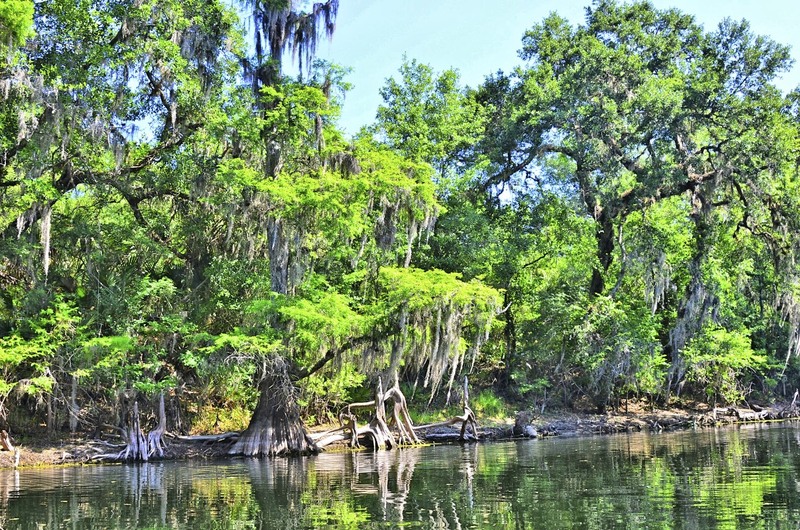 Beautiful photos, though, so thanks for being adventurous so you could share them with us! I was gasping over those gators until you distracted me with those gorgeous birds! What is that blue bird?!! Both of them are wonderful! What a wonderful adventure, so many amazing pictures. Those spoonbills are very interesting indeed. 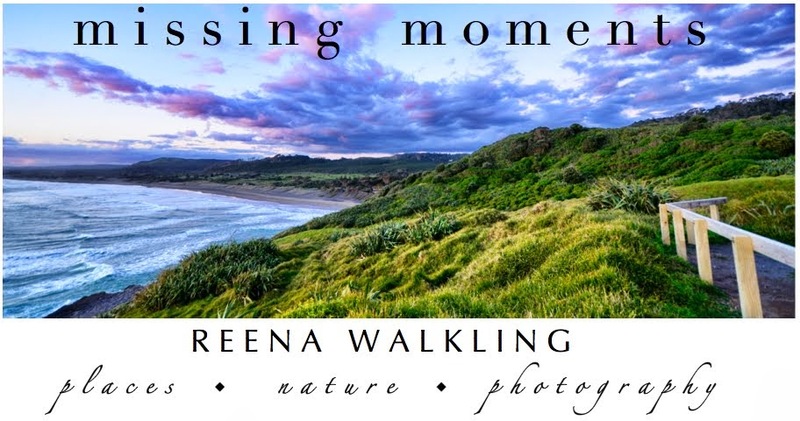 wow, reena, such beautiful views!so many gorgeous shots! Great photos! I totally understand not wanting to end up in the water with those beady eyes looking at you. 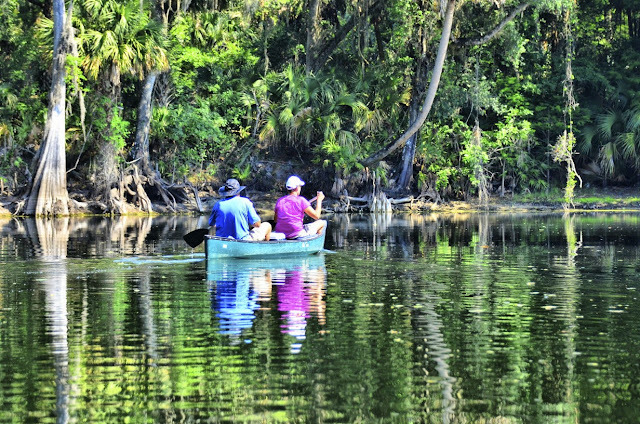 Gorgeous pics, not sure if I would have sat in a canoe in alligator infested waters . . . you were brave. 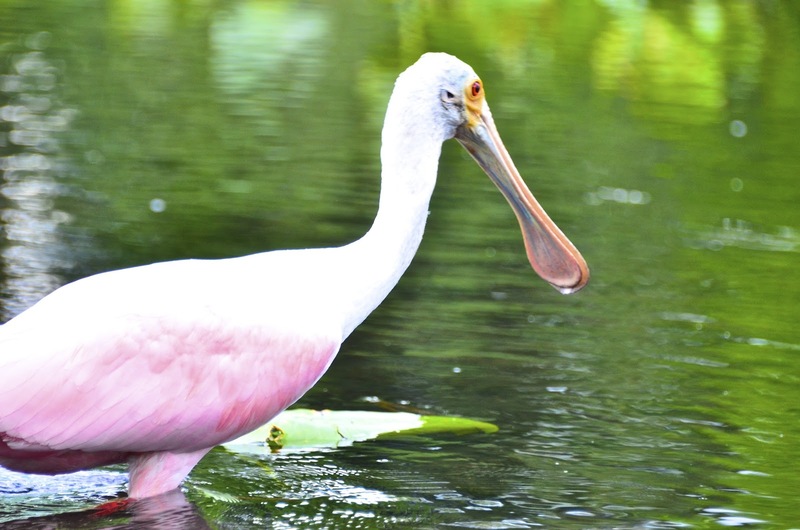 I love spoonbills but have never seen one in person. Wonderful journey on the "gators" lake, love it. Hilary and I were talking herons yesterday .. I wonder if that isnt a Green heron .. she described it as looking blue but being iridescent .. whatever . he is gorgeous and I loved the peeking from the water gator! That would have been an anxious canoe trip, all those gators! And your photos...WOW! WOW what gorgeous pictures. 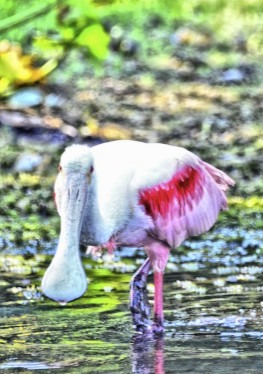 I've never seen a spoonbill in the wild only at our NC Zoo's aviary and the heron. 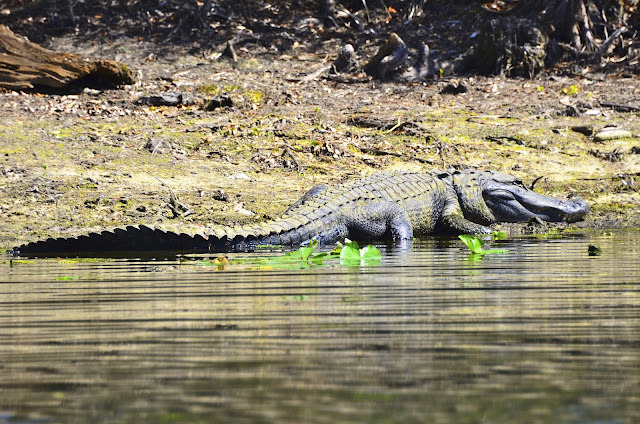 Looks like the gators were too busy sunning to notice you all. Being low on the water in the canoe gave you a great POV. I especially like that first alligator photo. What a wonderful experience. I would be so excited to do that. 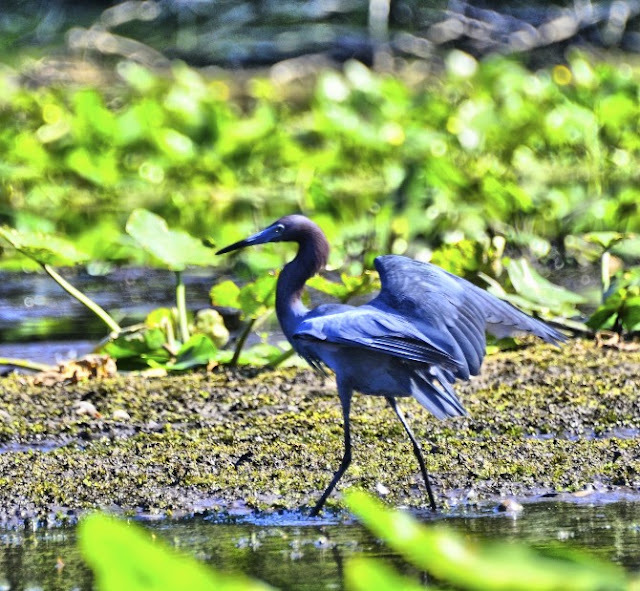 I think your heron is a Little Blue Heron. Great shots! Those gators look scary. I love the turtles sunning on the rock. I don't think I would have been too comfortable in such a small canoe!! You are one brave lady canoeing with all those gators around. I would of messed my pants when I seen the first one. Those things are almost as big as the canoe. Wow - all your shots of these lovely creatures are fabulous! Fabulous captures!! What a place this is!! Those gators give me the creeps...I´d be terrified:) you should work for the Florida Tourist Board with all these wonderful shots you are showing us. you're brave to capture all this beauty for us! i think i would be too chicken to venture out where gators congregate. don't tip the boat! :) Stunning, beautiful photos.